Brussels, 6 April 2016. 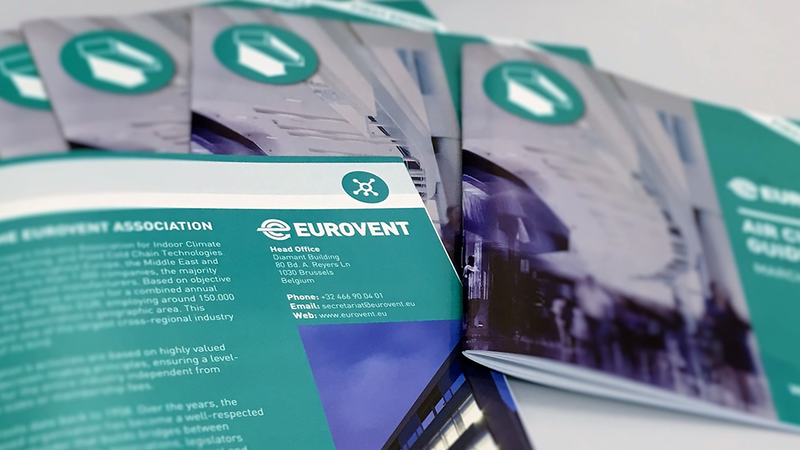 The Eurovent association has released the first edition of its Air Curtains Guidebook. The publication acts as a toolbox for consultants, specifiers, engineers, legislators, and everyone else dealing with air curtain technologies. It not only provides key information on how to rightly select, install, and maintain air curtains, but also outlines the various air curtain technologies available on the market as well as their application and key benefits. The Eurovent Air Curtains Guidebook has been developed in close cooperation with Europe’s leading air curtain manufacturers and laboratories. More than ten producers participate in a dedicated Special Project within the Eurovent association, in which they, besides writing the Air Curtains Guidebook, also engage with the development of a state-of-the-art testing and efficiency rating scheme, as well as an in-depth market study in cooperation with Eurovent Market Intelligence. The new Eurovent Air Curtains Guidebook covers all air curtain application areas (Commercial / Comfort, Industrial, Cold Storage, Specialist Applications). It is now available to download at the Eurovent association website, and can be ordered as a licenced print edition. Over the next couple of months, the Guidebook will be released in more languages, starting with Czech, Dutch, German, Italian, and Swedish. The further aim is to follow up the release of the Guidebook with the mentioned air curtain testing and efficiency rating scheme during the Eurovent Summit in Krakow in September this year. Participating producers jointly hold a market share of more than 90% in Europe and include: 2VV (Czech Republic), Biddle (Netherlands), Dimplex (UK), Frico (Sweden), Kampmann (Germany), Olefini (Greece), Teddington (Germany), Tekadoor (Germany), Thermoscreens (UK), TTL Luftschleieranlagen (Germany).